Castor oil was once prescribed by many doctors and midwives to induce labor. The theory of labor induction with castor oil is that it acts as a stimulant to the bowels, which irritates the uterus and causes contractions. This recommendation is not as common as it once was because of the lack of evidence for its efficacy. Castor oil is a vegetable oil derived from the castor bean. It has been used for generations to help ease constipation or even to induce vomiting when needed, much like syrup of ipecac. There are practitioners who do not recommend castor oil because of potential side effects like dehydration (from loose stools and/or vomiting), fetal distress, and meconium in the baby. The vast majority of studies that have looked at castor oil for labor induction found no significant difference in the type of birth (Cesarean or vaginal) or the length of labor. They also did not find evidence of increased problems like infection or meconium staining in the amniotic fluid. The biggest risk was maternal tolerance—how well the mothers tolerated the castor oil. One study found that every single mother who took castor oil experienced some nausea, with or without vomiting. Never attempt a castor oil induction without working with your practitioner. It is always wise to talk to your midwife or doctor about any induction method before using it. Additionally, induction before your due date is not a good idea if there is no medical reason. Even then, a castor oil induction may not be the best option. How Long Does Castor Oil Induction Take? While some mothers report feeling the stirring of their intestines within an hour or two of using castor oil to induce labor, others are not affected. There are reports of having the baby within hours of a castor oil induction or the induction taking days if it does work. Limited medical studies indicate data suggesting that labor may be more likely in the first 24 hours after ingesting castor oil, and they call into question the safety of the practice. More research is needed. The decision to use one of these methods or a combination of them should be between you and your practitioner. Some alternatives may be more appealing to you or may be more appropriate and safe in your specific case. In the end, the medical literature on castor oil induction is very scant, particularly in terms of good, comprehensive research, so most of what you hear about castor oil is anecdotal. Just because increased complications were not observed in the small studies done does not prove that these complications don't exist. 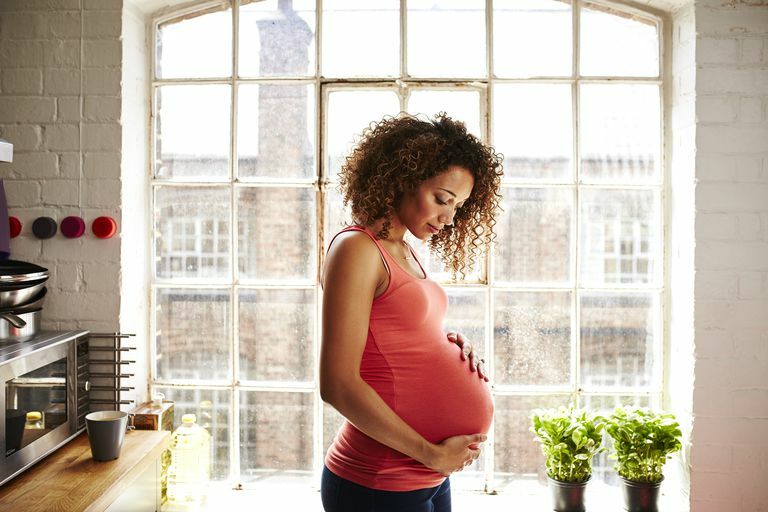 The known side effect of nausea adds to the discomfort of pregnancy and is likely not something you want. If you are interested in trying this induction method, talk to your healthcare provider to ensure that there is no known reason for you to avoid it. That said, chances are she has a better induction option to offer, if needed. Boel ME, Lee SJ, Rijken MJ, et al. Castor oil for induction of labour: not harmful, not helpful. Aust N Z J Obstet Gynaecol. 2009 Oct;49(5):499-503. doi: 10.1111/j.1479-828X.2009.01055.x. Hall HG, McKenna LG, Griffiths DL. Complementary and alternative medicine for induction of labour. Women Birth. 2012 Sep;25(3):142-8. doi: 10.1016/j.wombi.2011.03.006. Kelly AJ, Kavanagh J, Thomas J. Castor oil, bath and/or enema for cervical priming and induction of labour. Cochrane Database Syst Rev. 2013 Jul 24;(7):CD003099. doi: 10.1002/14651858.CD003099.pub2. Lim CE, Ng RW, Xu K. Non-hormonal methods for induction of labour. Curr Opin Obstet Gynecol. 2013 Dec;25(6):441-7. doi: 10.1097/GCO.0000000000000027. Mozurkewich EL, Chilimigras JL, Berman DR, et al. Methods of induction of labour: a systematic review. BMC Pregnancy Childbirth. 2011 Oct 27;11:84. doi: 10.1186/1471-2393-11-84. Tunaru S, Althoff TF, Nüsing RM, Diener M, Offermanns S. Castor oil induces laxation and uterus contraction via ricinoleic acid activating prostaglandin EP3 receptors. Proc Natl Acad Sci USA. 2012 Jun 5;109(23):9179-84. doi: 10.1073/pnas.1201627109.